LAKEFRONT ON BLUE LAKE!! 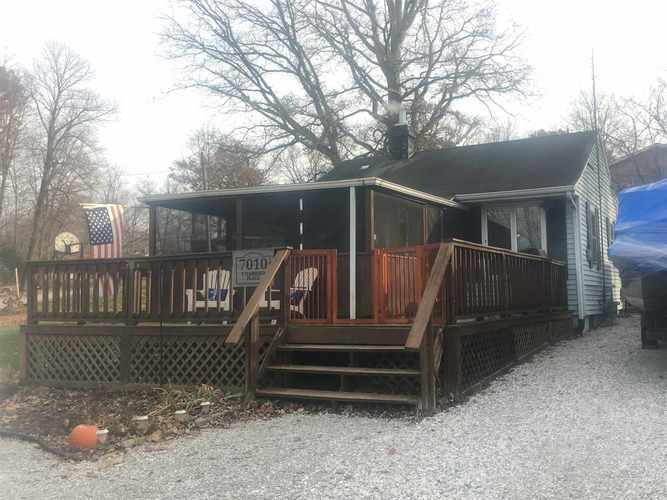 Completely REMODELED Lake Home with 2-3 bedrooms, 1 bath, modern decor, screened-in porch to entertain while taking in the Gorgeous Lake Views! Home has lots of Upgrades including all new appliances, new flooring, new paint, newer furnace and yard barn!! Super Cute Lakefront Property, Don't miss this opportunity!! Open House: December 2, 3-4 pm, Auction: December 9, 1 pm at the property. Directions:From Blue Lake Road, turn west onto Harrold Rd., turn North onto Harrold place. Property is on the south side of the road, look for signs!